BOOKING MORE & FASTER NOW!!! I Purchased the pricing kit when I was re-designing my website. It was truly a wonderful investment and really turned my pricing guide around and how I priced/presented my investment to my brides. I booked MORE and FASTER. It was really really crazy how those little changes made such a HUGE impact!! I highly recommend this to anyone in need of pricing help!! The Pricing Kit was just the push I needed to take my business to the next level! I love the pricing guide!!! Seriously amazing and it has changed my business so much. My clients know exactly what they are getting right from the guide. They all thank me for that and most of the time don’t have too many questions. IMPRESSIVE & SIMPLE.. YOU NEED IT! I purchased Katelyn’s pricing guide template last year. 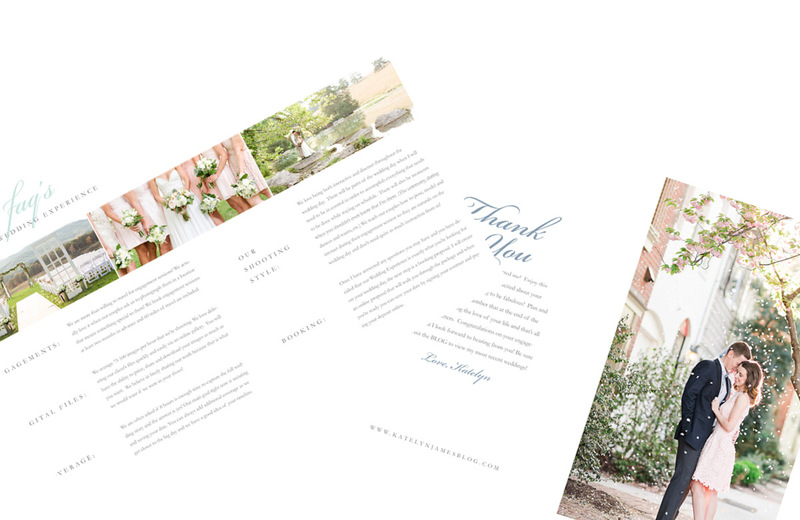 I needed a more professional package to send to our brides when I was asking them to pay a premium for our services. I used to simply list pricing out and it was so impersonal and NOT pretty. NOW! 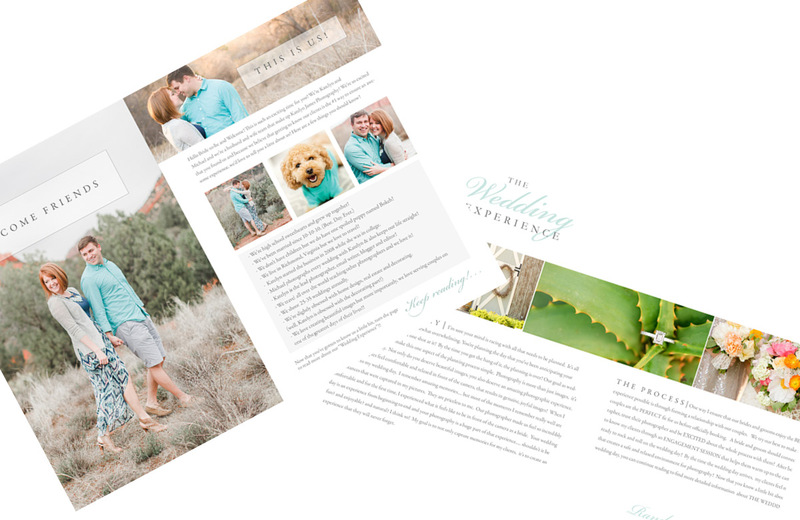 Thanks to Katelyn, I have a gorgeous pricing guide to not only share our packages and prices but a way to share a little about Ben and I and our heart for our business. I love the layout, I love that it’s centered around the experience we give rather than the numbers. Our potential brides who nearly every time turn into #tarnobrides LOVE it. It’s impressive, it’s simple and you need it. Thanks Katelyn and Michael for always sharing your tools and giving to other photographers! Having all my pricing info for my clients neatly organized in one place is incredible. They also get to learn a little more about us and realize we’re not just transactional! I send it along in my initial response email and that’s all there is to it. Nine times out of ten, I don’t speak another word about money with my clients ever. Not in email, not at the consult, not at booking. Not only does it make me look more professional but it’s saved so much stress with doubting self-worth with no one questions it!